DONATE, JOIN CAL NORML OR RENEW YOUR MEMBERSHIP ONLINE AT OUR CAL NORML STORE. 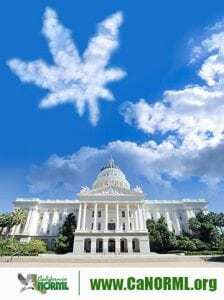 December 2016 – It’s getting busier in Sacramento every year, with a score of marijuana bills introduced in the legislature in 2016. 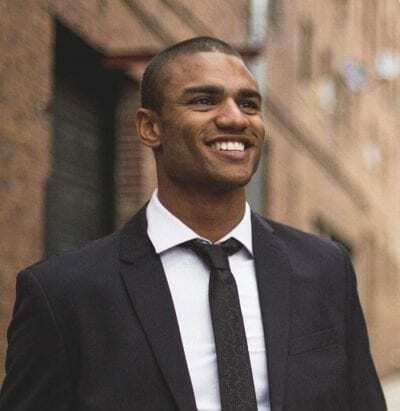 Many of these dealt with industry regulations, such as AB 1575, a sweeping attempt to “clean up” the state’s medical marijuana regulations, which ultimately failed to pass. Cal NORML lobbied actively and activated our membership on two bills by Assemblyman Gipson to provide tax relief to cannabis businesses. One, AB 821, was passed into law and ends penalties for paying taxes in cash. The other, would have granted tax amnesty to cannabis businesses, and was vetoed by the governor. 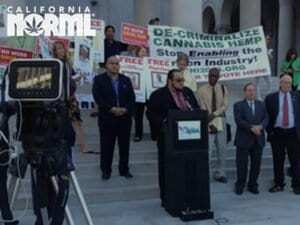 Cal NORML opposed AB 2243 (Wood), a bill that would have imposed a cultivation tax on medical marijuana. Although we favored the tiered taxation in the bill, we disapproved of taxing medical-only farmers; the bill failed to pass the legislature. We vociferously opposed SB 987 by Senator McGuire, which would have imposed a 15% tax on retail purchases of medical marijuana. With the help of our members who wrote to their elected officials, we were able to defeat the bill. Yet again this year, we had to fight off another bill that would have criminalized drivers who had 5 ng of THC in their system. This time, the bill’s sponsors flew out an expert from Washington DC to argue that Prop. 64 would put Californians in danger from impaired drivers. Once more, we were able to present sound science in opposition to this bill, and over 1300 letters from constituents were sent to legislators through NORML’s networks to help defeat the bill. We also supported a bill by Asm. 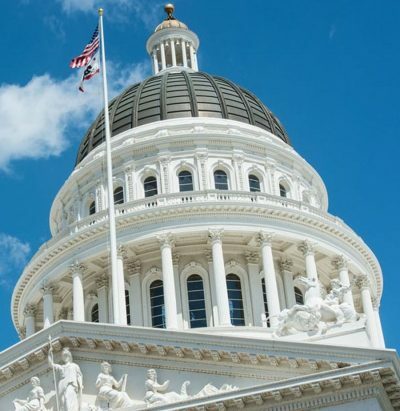 Cooley and Bonta (AB 2679) to protect concentrates manufacturers from prosecution provided they follow state rules and avoid flammable or toxic solvents such as butane and AB 2516 by Asm. Jim Wood, to authorize a new “specialty “cottage” license for home growers with no more than 2,500 square feet of outdoors space. Both bills were signed by the Governor. Starting in January, California saw an onslaught of local cultivation bans in cities and counties across the state, the result of an erroneous March 1 deadline in MMRSA by which time locals needed to have regulations in place, or be governed by state law. 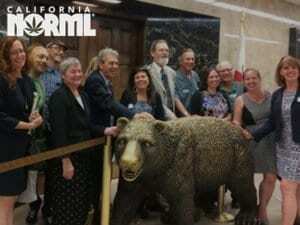 Cal NORML supported a bill by Asm. Wood that repealed the March 1 deadline, and worked with local activists in lobbying against the bans, or in making them temporary. We were assisted in this effort by all who participated in the California City and County Ban Watch Facebook group. The “Banapolooza” was followed by a “Taxapolooza,” and now a wave of Prop. 64-inspired bans, most of them temporary. Cal NORML joined the public outcry against the raids on concentrate makers in California that happened in January (MedWest) and June (Care by Design). A number of meetings were held this year throughout the state by various regulatory agencies who will be writing permit applications for medical marijuana businesses under MCRSA, such as the Department of Agriculture and the Department of Public Health. Cal NORML has been monitoring these meetings and providing input to the agencies involved on behalf of the state’s marijuana consumers. Our office was very busy all year fielding questions from the press and public about Proposition 64. The 62-page measure is extremely complicated, and Cal NORML released a comprehensive guide to the measure, including the sections which we feel need to be addressed in the legislature. Now that Prop. 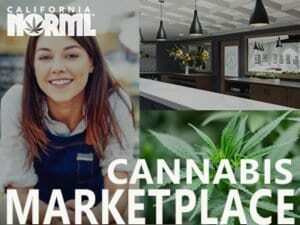 64 has passed, Cal NORML has been inundated with questions about when the laws affecting personal use and cultivation take effect, whether people still need a medical marijuana recommendation, how to get a license to sell marijuana, etc. Answers are on our FAQ page. As we expected, one of the most frequently asked questions we have been getting since Prop. 64 passed is, “Am I now protected against drug testing on my job?” Since, sadly, that answer is no, we are launching a campaign to change state law to protect workers’ rights in California. 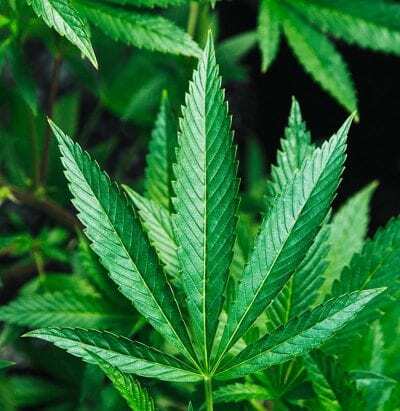 Ten states have made it illegal for an employer to not hire or to discriminate against either a job applicant or employee who uses medical marijuana, under certain conditions. However, California’s Supreme Court ruled in 2008 that Prop. 215 does not grant workers’ rights, and a law passed to change that was vetoed by Gov. Schwarzenegger. Employment drug testing has never been proven in FDA studies to improve worker safety, but it’s a great way to discriminate against cannabis consumers. We hope to sponsor a bill that will truly make marijuana legal for all adults. Read more. Our office continues to receive numerous complaints from patients being denied prescription pain medications because they are using medical marijuana, even moreso since Prop. 64 passed. In March, we broke the news that the US Centers for Disease Control released new guidelines instructing doctors not to test for THC as part of compliance programs for patients taking opiates. Armed with this report and studies showing a 25% decrese in opiate overdoses in medical marijuana states, as well as less opiate use, abuse, and opiate-related traffic fatalities, we hope to sponsor a Pain Patients’ Bill of Rights next year in the legislature, modeled on the bill last year that ended discrimination against medical marijuana patients requiring organ transplants. Read more. Cal NORML’s third priority for 2017 is legislation to ensure access to medical marijuana for all patients in California through the allowance of delivery services, workable local regulations on cultivation, and expanded areas where patients and others may consume cannabis on site, particularly when vaporized. Our 10-point post-Prop. 64 agenda has other priorities. • decriminalize possession of more than one ounce.